The easiest salmon recipe you'll ever make. Preheat broiler on high. 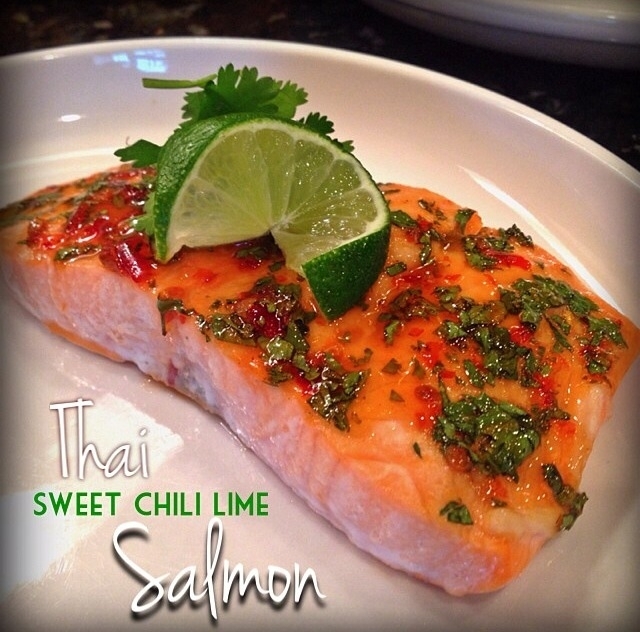 Combine sweet chili lime sauce, garlic, lime juice, 2 sprigs chopped cilantro in a bowl and stir well. Top salmon with mixture. Place under broiler for 7-10 minutes until firm and fully cooked. Garnish with lime and extra cilantro. Serve immediately.